Of five town gates, only one is left. 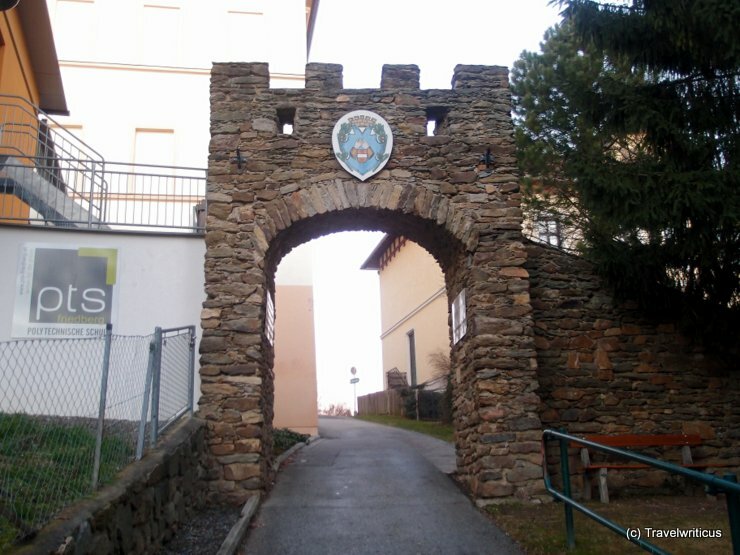 The Marientor is a gate dating back to 1445. 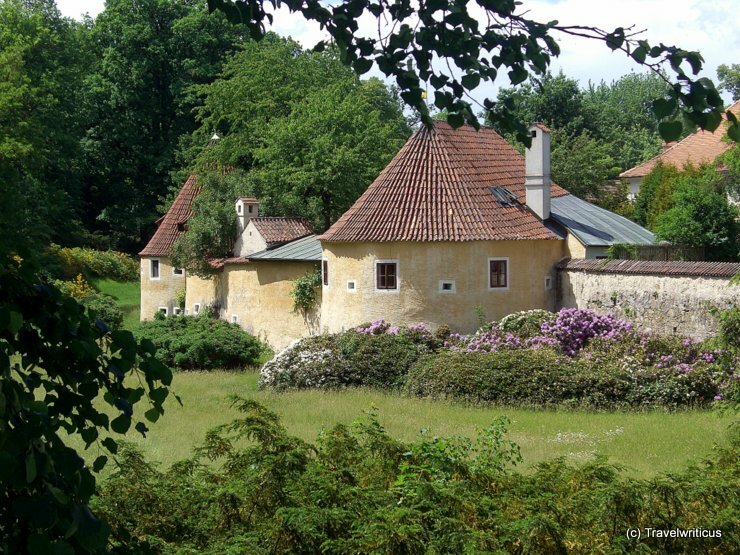 It consists of a tower with the for the region typical conical roof and a barbican covered by a late Gothic wall-walk. 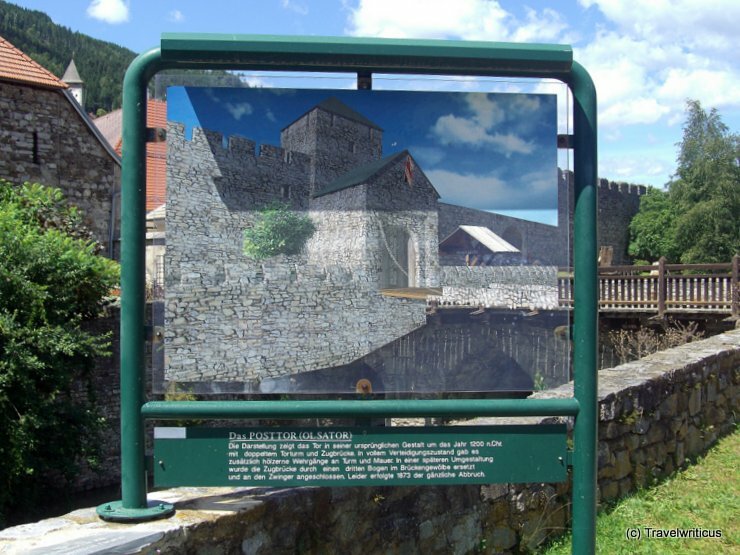 An interesting way to learn about the former town wall of Wiener Neustadt. 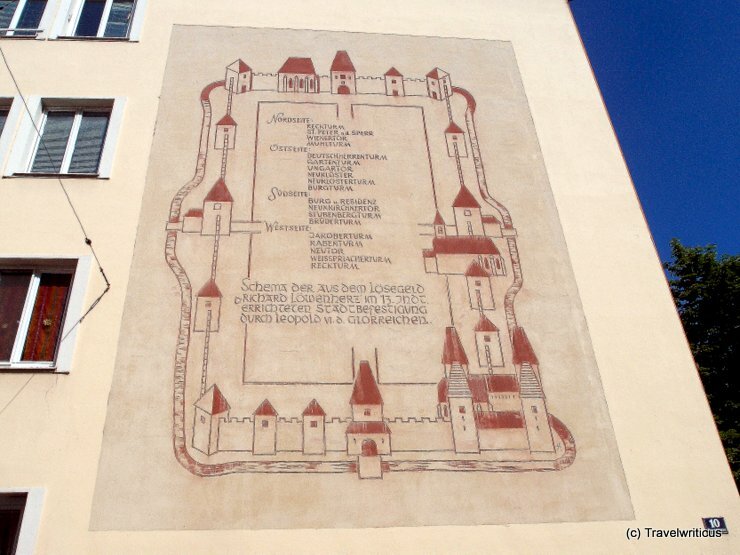 At the Reyergasse 10 I saw this mural depicting the walls around the city. Some parts are still to see. E.g. 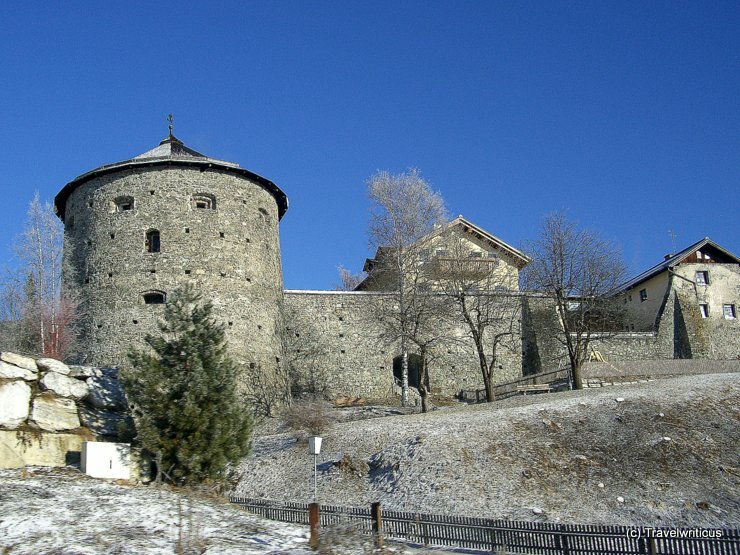 the Reckturm dating back to 13th century is placed at the north-western corner of the city. 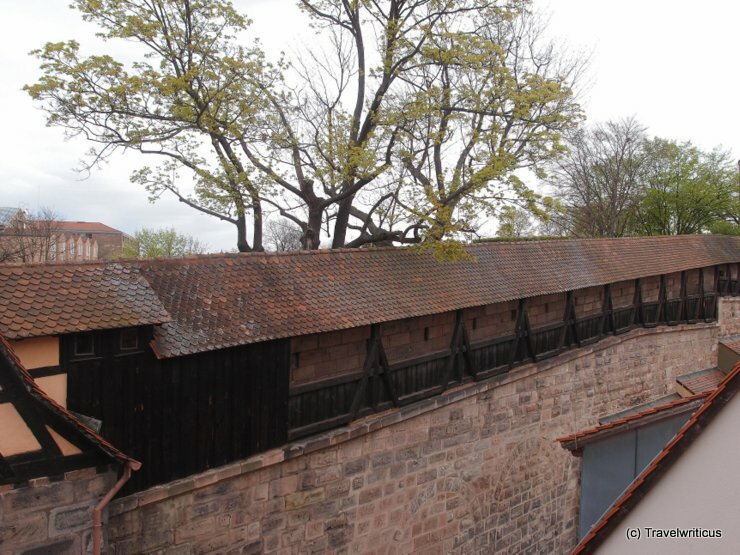 Nürnberg (Nuremberg) is still surrounded by a strong town wall to a large extend. I had this view from the room of my hotel which was situated inside the walls. So I had this excellent view of the guard’s walkway. 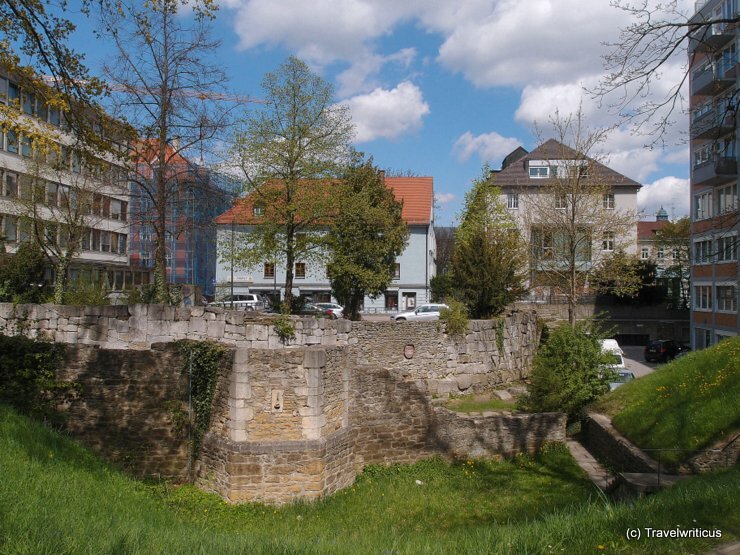 Two wall ruins near the railway station of Regensburg. The wall in the foreground was built in medieval times, the wall in the background is even from ancient Roman period. The walls of Friedberg were built with money from the ransom for Richard I of England (‘Richard the Lionheart’). 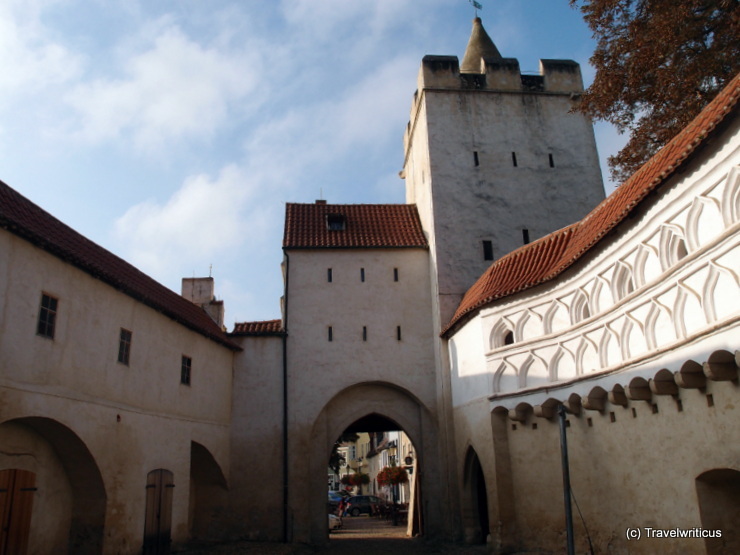 The gate depicted above is a reconstruction and is known as ‘Ungartor’. 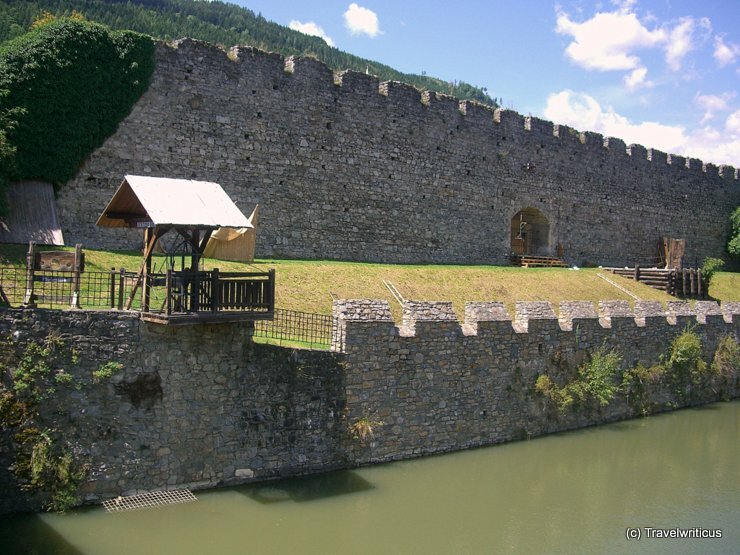 The town of Friesach is still surrounded by a water-filled moat. The structure on the left side is a reconstruction of a Bäckertauche. In earlier times a Bäckertauche was used as a punishment tool similar to a cucking stool. 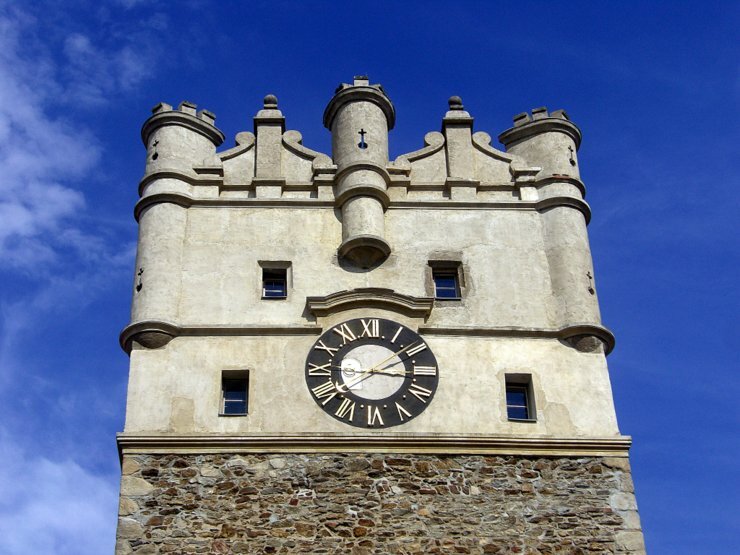 The top of a tower gate named Gate of Holy Mother (Brána Matky Boží) in Jihlava. In this city composer Gustav Mahler grew up.